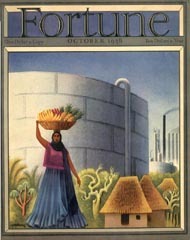 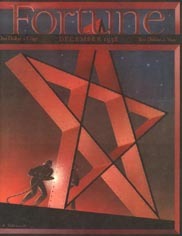 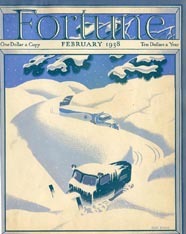 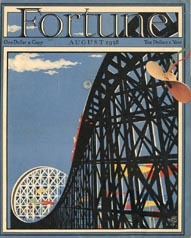 These original Fortune magazine covers are from 1938 - the ninth year of publication for the magazine. 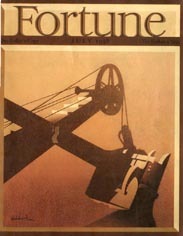 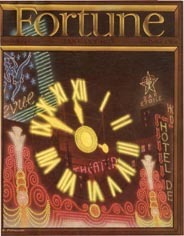 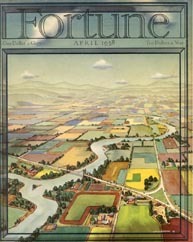 Henry Luce, publisher of Fortune, said he wanted "the new magazine to be as beautiful a magazine as exists in the United States. 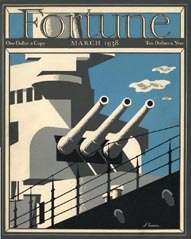 If possible, the undisputed most beautiful". 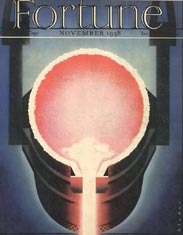 To that end leading artists of the day contributed to the design of the covers including Antonio Petruccelli, Ervine Metzl, Walter Buehr and Ernest Hamlin Baker. 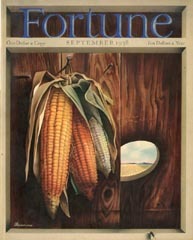 Where possible, we identify the artist for the cover. 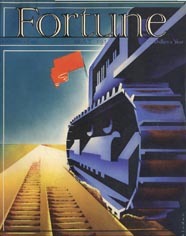 The covers are notable both for the quality of the graphics, and their commentary on business, social and political issues of the day. 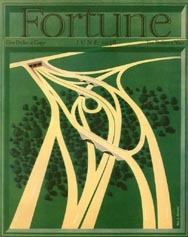 Each Fortune cover is provided with a copy of the table of contents from the issue.